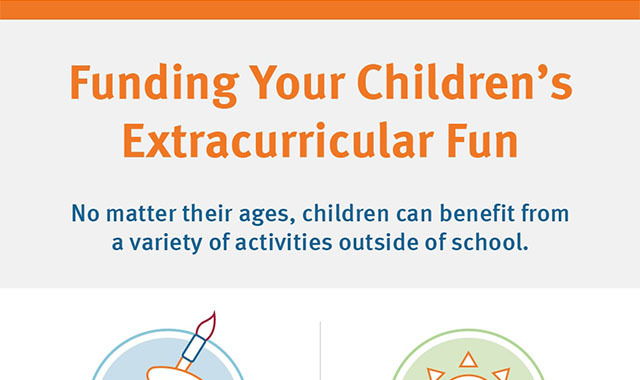 Funding Your Children’s Extracurricular Fun #infographic ~ Visualistan '+g+"
In their formative years, children have the chance to learn and grow with the help of extracurricular activities. Luckily, they have a number of activities to choose from, all of which do their minds and bodies good. For example, children enrolled in some kind of art program can see their special reasoning skills further developed, and their fine motor skills improved. Another popular activity, sports, may help increase self-confidence and discipline. Not only are these extracurricular activities good for the child; they’re also great for the child’s academic future. If a student one day decides to apply to go to college, extracurricular activities of all types can help show a student’s potential and demonstrate invaluable skills that will help them succeed in higher education.